A & L, Licker Law Firm, LLC | Offices in St. Louis, St. Charles, Florissant, South County, Belleville and Granite City. 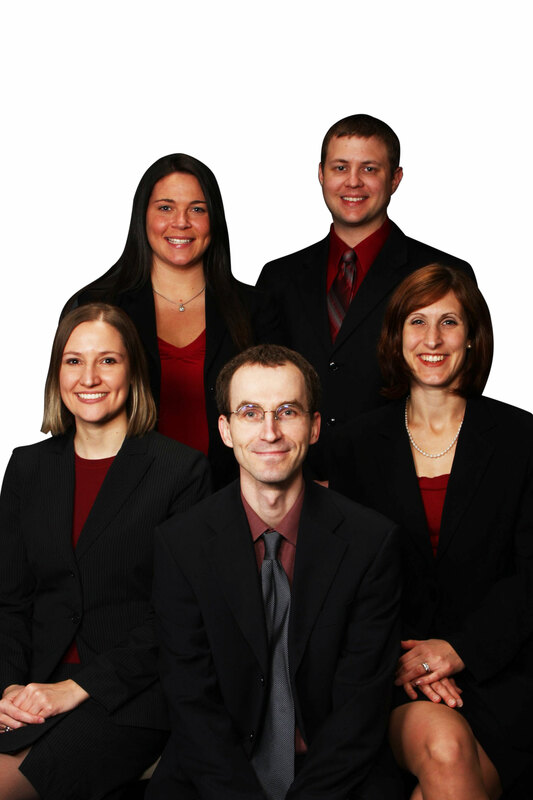 We are four bankruptcy attorneys focusing on chapter 7 and chapter 13 consumer bankruptcy law. Our office files around 600 bankruptcy cases per year and is one of the largest and most experienced bankruptcy law firms in the St. Louis metropolitan area. Our managing attorney, Tobias Licker, has a “superb” rating from Avvo for experience, industry recognition and professional conduct. We have four offices located within the St. Louis Metropolitan Area. Which counties do we serve? We serve the St. Louis Metropolitan Area on the Missouri and Illinois side. Missouri: Most of our clients in Missouri come from St. Louis City, St. Louis County, St. Charles County, and Jefferson County. We meet with Missouri clients at our offices in Florissant (North County), Lemay (West and South County), St. Charles, and St. Louis City. Click here for a complete list of all counties we serve on the Missouri side. Illinois: In Illinois, most of our clients come from Madison County (Edwardsville, Collinsville, Alton) and St. Clair County (O’Fallon, Belleville, East St. Louis, Fairview Heights). We meet with our Illinois clients at our office in Granite City. Click here for a complete list of all counties we serve in Illinois. Every time the bankruptcy law changes, it is becoming more complicated. Often, only an experienced bankruptcy attorney can guide a client through the bankruptcy process without problems. Periodically, we see bankruptcy cases that have been mishandled and the client ends up in a more difficult situation than before. Here is a recent example of a such a case: during a bankruptcy filing consultation with one of our attorneys, a couple tells the attorney that they have been in a chapter 13 bankruptcy case for the last 5 years and consistently have made their plan payments on time. But shortly before the case should have been over and their debt discharged, the chapter 13 trustee filed a motion to dismiss their case because their plan had “not been feasible.” If a case is not feasible, this means that claims by creditors were filed with higher amounts than anticipated. To fix the problem, the debtor, or his or her attorney, would either object to the claim or adjust the plan payment. In this case, no objection or request to adjust the payment plan was filed. As a result, the court dismissed the case. The couple now must file a new bankruptcy petition with the court. This type of situation described above is very rare, most cases proceed without any issues. However, finding an experienced bankruptcy attorney in the St. Louis, Missouri area is not difficult. Ninety-nine percent of our practice is devoted to bankruptcy law. We file approximately 600 bankruptcy cases per year. Our firm has extensive experience with bankruptcy law. We have six offices throughout the St. Louis metro area. Four offices on the Missouri side of the river and two offices on the Illinois side. Our offices are located in St. Charles, Florissant, St. Louis (Hampton/ Chippewa), South county (Lindbergh Blvd/ Lemay Ferry), Granite City and Belleville. See a map and the addresses of our offices at the very end of this page. For the St. Louis Missouri area: The court costs are currently $306 for a chapter 7 and $281 for a chapter 13. If a bankruptcy petitioner cannot afford to pay court costs in full before filing, he or she can apply to pay the court costs in installments. However, if a petitioner requests to pay in installments, half of the court costs still must be paid at the time the case is filed. Moreover, it is important to note that failure to make an installment payment to the court will result in the dismissal of the bankruptcy case. For the St. Louis Metro East, Illinois area: The court costs are currently $306 for a chapter 7 and $281 for a chapter 13. If a bankruptcy petitioner cannot afford to pay court costs in full before filing, he or she can apply to pay the court costs in installments. However, if a petitioner requests to pay the court costs in installments, he or she must pay $46 at the time of filing of a chapter 13 bankruptcy case, and $61 at the time of filing a chapter 7 bankruptcy case. The first installment payment is due within 20 days of filing. Also, it is important to note that failure to make an installment payment to the court will result in the dismissal of the bankruptcy case. Attorney fees depend on the case. Every case is different. Fees are determined based on the type of bankruptcy case filed (chapter 7 or chapter 13), whether a single or joint petition is filed, how many creditors are involved, and the income of the person who is filing for bankruptcy. We offer payment plans. Our consultation is free and we will start a case after receiving a down payment toward the total cost of attorney fees. The next step is to schedule an appointment with one of our attorneys for a free, no-obligation bankruptcy consultation. After learning about your situation, the attorney will tell you what options are available to you and what the advantages and disadvantages are of each option. The attorney will explain what filing for bankruptcy would mean for you, how it will affect your credit, and what the process entails. You can either call us at 636-916-5400 or send an email to info@lickerlawfirm.com to schedule an appointment or ask any other questions you might have. Summary: This article is an overview of who is eligible to file for Chapter 7 or Chapter 13 bankruptcy. Filing bankruptcy can bring a fresh start, relief from debt and debt collectors and peace of mind. Since 2005, changes in federal law have made it more complicated and time consuming to determine if someone is eligible to file under chapter 7 or chapter 13 of the bankruptcy law. Common problems that will prevent a person from successfully filing for bankruptcy and receiving a discharge include previous bankruptcies, income and assets and failure to complete required counseling. Most individuals are eligible to file for both Chapter 7 and Chapter 13 bankruptcy as long as they reside in the United States and meet the residency duration requirements for filing in their particular jurisdiction. A stockbroker or commodity trader, is not eligible to file for Chapter 13 bankruptcy, but is eligible to file for Chapter 7 bankruptcy. Small businesses and other entities, should consult a qualified bankruptcy attorney to determine eligibility for bankruptcy. Previous bankruptcy filings can affect an individual’s ability to obtain a discharge of current debts. An individual who has filed for bankruptcy within the previous six years, may be restricted to filing under Chapter 13. If a bankruptcy petition previously was dismissed and resulted in the court barring the petitioner from re-filing for 180 days, the court requires the filing of a motion to waive the bar in order to re-file a bankruptcy case. This motion can be either filed as part of the previous case, or it can be filed with a new petition for bankruptcy. The motion to waive the bar should state the detailed reasons that lead to the dismissal of the first bankruptcy case and why it is more likely that a new bankruptcy case will not be dismissed. Whether it is best to file under chapter 7 or chapter 13 of the bankruptcy law depends on an individual’s debt, income and assets, because eligibility is partially determined by these numbers. To be eligible to file under chapter 7, disposable income, or the amount left over each month after payment of all expenses, cannot be enough to pay a meaningful amount to creditors. In contrast, debtors seeking to file under chapter 13 must have sufficient income to pay their reasonable monthly living expenses with some money left over for bankruptcy plan payments. The plan payment is distributed among the debtor’s creditors. The minimum monthly chapter 13 plan payment in the St. Louis area is $75 per month. There are limits on the amount of debt that can be discharged under chapter 13. These debt limits are adjusted every three years. The last adjustment was made on April 1, 2010. The next adjustment will be made in April 2013. Currently, the debt limit for secured debt is $1,081,400 and for unsecured debt $360,475. There are no limits on the amount of debt that can be discharged under chapter 7. There are three tests to determine chapter 7 eligibility: the means test, the asset test, and the totality of circumstances test. All means tests must be met prior to filing. The specific numbers that will apply vary depending upon the allowable expenses and exemptions in the state of filing. For example, a couple receives pension and social security income. The social security income is not included in the means test, and the couple passes the means test. However, the social security income is included in the totality of circumstances test, and the US Bankruptcy Trustee’s office might determine that the couple has sufficient disposable income to pay a meaningful amount to their creditors in a chapter 13 bankruptcy case . In another example, even though a debtor has very little income and passes both the means test and the totality of circumstances test, he might own land outright that has a high market value and no liens. He still would be eligible to file under chapter 7, but the bankruptcy trustee would require the debtor to liquidate the property and pay the sale amount to creditors. In this case filing under chapter 13 of the bankruptcy law might be a better option. Since 2005, debtors must complete credit counseling in order to file bankruptcy under any chapter. A case filed without a certificate of completion from an authorized credit counseling agency will be dismissed by the bankruptcy court. Credit counseling courses may completed online or over the phone and take approximately 30 to 45 minutes. A bankruptcy attorney can recommend reasonably priced credit counseling agencies that are accepted by the bankruptcy court. After a bankruptcy case is filed, but before the court will discharge the debt, the bankruptcy petitioner also must complete a financial management course. Bankruptcy can be a frustrating and confusing process, especially for those already feeling the stress of financial strain. Most debtors find it helpful to retain an experienced bankruptcy attorney to aid them in navigating the complicated and often confusing requirements of the bankruptcy court. Retaining a a qualified bankruptcy attorney is a good way to ensure that filing for bankruptcy is the best decision and to ensure that the case is properly filed under either chapter 7 or chapter 13 of the bankruptcy law so the debt is discharged. The United States Bankruptcy Court of the Eastern District of Missouri consists of three divisions: The Eastern (St. Louis), Northern (Hannibal), and the Southeastern (Cape Girardeau). The trustee’s meeting and hearings will be in the St. Louis, Hannibal or Cape Girardeau. Attorneys at our office normally only handle cases in the Eastern (St. Louis) Division because we do not have offices in Hannibal or Cape Girardeau. If it is more convenient for clients from the Hannibal or Cape Girardeau area to meet with a bankruptcy attorney in St. Louis, we will accept cases on a case by case basis, normally only chapter 7 cases. The counties for the Eastern Division (St. Louis) are: City of St. Louis, Crawford, Dent, Franklin, Gasconade, Iron, Jefferson, Lincoln, Maries, Phelps, St. Charles, St. Francois, St. Genevieve, St. Louis, Warren and Washington. Southeastern Division (Cape Giradeau): Bollinger, Butler, Cape Girardeau, Carter, Dunklin, Madison, Mississippi, New Madrid, Pemiscot, Perry, Rynolds, Ripley, Scott, Shannon, Stoddard and Wayne. Northern Division (Hannibal): Adair, Audrain, Chariton, Clark, Knox, Lewis, Linn, Macon, Marion, Monroe, Montgomery, Pike, Ralls, Randolph, Schuyler, Scotland, Shelby. Where is the court, trustee’s meeting, trustee? The courthouse for the Eastern District of Missouri is at 111 South Tenth Street, Fourth Floor, St. Louis, MO 63102. This is the address for the clerk’s office, the trustee’s meeting is most often at the first floor. The notice of commencement a debtor receives from the court after a case is filed, lists the address and room number. Chapter 7 debtors in St. Charles, Lincoln, and Warren County have the chapter 7 trustee’s meeting in Wentzville. Chapter 13 debtors meet in St. Louis. The address for the Chapter 13 trustee in St. Louis is: John V. LaBarge, Jr., Chapter 13 Trustee, PO Box 430908. The address should only be used for sending in monthly plan payments. The 341 meeting will be at the St. Louis Courthouse. There are eleven Chapter 7 Trustees in St. Louis. Where can I get information about my case? Debtors can receive information regarding their case from their attorney or they can access the court’s electronic voice system which provides basic information about each case, such as case number, filing date, attorney name and phone number, status of the case, and when the 341 meeting takes place. The voice system is available 24 hours, seven days a week, and can be accessed by calling (314) 244-4999. Documents filed in all bankruptcy cases can be viewed through PACER, the bankruptcy court’s document database. A subscription is required to access PACER and documents may viewed for $0.08 a page. How can I make changes to schedules and creditor matrix? An attorney representing a debtor may make changes to the schedules, statements, and creditor matrix of a bankruptcy petition after obtaining the signature of the debtor. The bankruptcy court charges $30.00 to add or delete creditors, change the amount owed, or change the classification of a creditor. For example, changing a secured creditor to an unsecured creditor. My case has been dismissed, should I still pay the court cost? Yes, the court cost must be paid within 5 days after dismissal if it wasn’t paid with the filing of the bankruptcy petition. A debtor who fails to pay the court cost within five days, is barred from refiling a bankruptcy case for 180 days. The bar is normally automatically lifted if the court cost for the prior case is paid before the filing of a new case. If the new case is filed more than 180 days after the dismissal of the first case, even if the court cost for the previous case has not been paid, a new case may be filed without payment of the court cost for the previous case. This is not possible for cases refiled within 180 days of dismissal of the first case. For cases refiled within 180 days of the filing of the first case, if the fees are not paid for the first case that was dismissed, the court will dismiss the second case. When can I pay the court costs in installments? Recently, fewer debtors are choosing to pay the court cost in installments. When an application to pay court costs in installments is granted, half of the court cost still must be paid with the filing of the petition. In addition, the debtor is allowed to pay in installments only if the attorney did not receive more than $300 before filing of the case. With these new provisions that became effective in April 2012, it is now very difficult to pay court costs in installments.